This is an English transcript of some portions of our Special Christmas Podcast that originally aired on 12/19/2015. We would like to share the wonderful information and messages that were shared with all of you. We start with reviewing Sylvain Reynard’s amazing 2015. 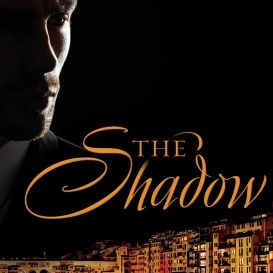 He had a great year last year but with the release of The Shadow on Feb 2nd, La Alondra on Feb 23rd and the Portuguese translation of The Shadow before the summer, it looks like 2016 is going to be even better for him! 01/20 – Release of The Prince. 01/31 – “A Visit to Florence” (A collaboration with EL James) is posted on EL James blog. 02/03 – Release of The Raven. 02/18 – Gabriel’s Inferno is ranked one of the top 10 most read romance novels of the decade in Goodreads. 03/08 – Gabriel`s Series Fan Podcast starts. 04/03 – Gabriel`s Redemption is nominated in the category of Translated Novel for the “Pens of the Year” award. 05/01 – First teaser from The Shadow is released. 05/02 – The Florentine Series Fan Podcast starts. 05/03 – Noites em Florenca Portuguese Fan Podcast starts. 05/27 – SR announces that the sequel to “The Raven” will be entitled “The Shadow,” and it will be released on February 2, 2016. 07/22 – SR signs with literary agent Cassie Hanjian of Waxman Leavell . 08/21 – The second Teaser from “The Shadow” is released. 09/12 – “The Raven” is nominated for Best Paranormal Romance of 2015 on Goodreads. 11/09 – SR announces the new Spanish podcast Noches en Florencia. 11/10 – El Príncipe is released in Spanish. 11/12 – The Raven is nominated by RT Magazine as Best Paranormal Romance Suspense Novel of 2015. 11/19 – Gabriel`s Inferno Tops Huffington Post`s list for Teachers-Students Romance Novels. 11/18 – La Alondra is announced as the sequel of El Príncipe. 11/22 – Gabriel Series Fan Podcast successfully finishes the discussion of Gabriel’s Inferno. 12/11 – All three books of The Gabriel Series hit the Brazilian Bestselling List. 12/13 – The Gabriel Series Fan Podcast starts the discussion of Gabriel`s Rapture.